Tommy Lee is reportedly seeking a restraining order against his 21-year-old son Brandon. 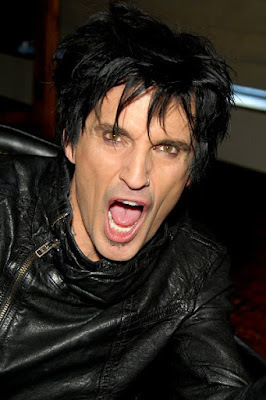 The former Motley Crue star posted a picture of his swollen, bloodied lip on social media on Tuesday (March 6) and blamed Brandon, his son with Pamela Anderson, in the caption by writing, "My heart is broken. You can give your kids everything they could ever want in their entire lives and they can still turn against you. Good job Brandon! Great son!" Police were called and Lee was transported to hospital, later taking to Twitter to accuse Brandon of knocking him out cold. The pair have since been exchanging blows on social media, and it was Brandon's latest claims that his father's alcoholism was to blame for the fight that is said to have enraged the rocker even more. According to TMZ.com, Tommy had originally been willing to withdraw the police report he filed after the fight if Brandon had apologised. But, following Brandon's "alcoholism" allegations, Tommy apparently changed his mind and now wants to press criminal charges against his offspring. He is also apparently asking a judge to grant a restraining order preventing Brandon from going anywhere near him or his house. "I'm devastated at the events of the last several days that have been a result of my father's alcoholism," Brandon told People.com in a statement on Tuesday. "I've worked tirelessly organising an intervention and it's incredibly upsetting that it never came to fruition. Lee then returned to Twitter to dispute his son's version of events, before announcing he's going to take some time away from social media.